Globe photographers share the stories behind what went into making the year’s best photos, as selected by the editors of the Globe Magazine and photo department. To hear some of the photographers speak about their images, click here. I was covering a press conference at City Hall. City Hall is where photos go to die; it’s a notoriously ugly building, but there is this beautiful light that sometimes happens under this awning. 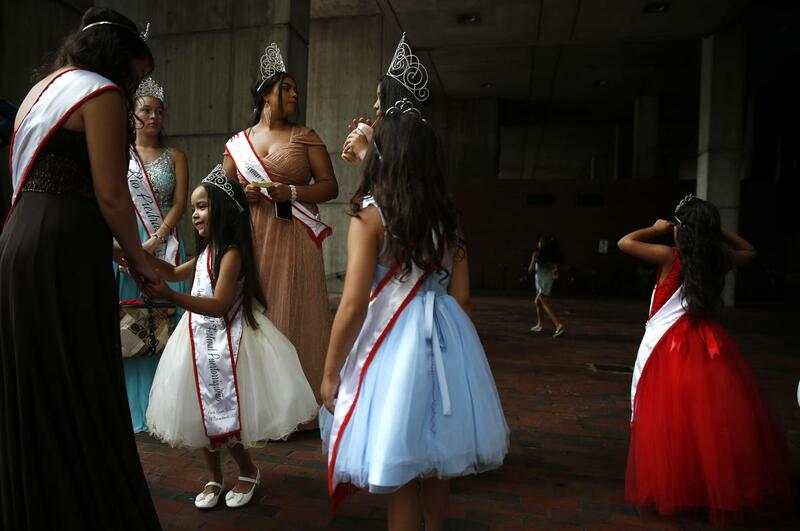 When I came outside, I immediately saw these girls in tiaras. They were taking part in a flag-raising for the Puerto Rican Festival. I stopped and started taking pictures for a stand-alone feature. It was just a happy accident. The light was soft and hit them in this shadowless way. These girls in beautiful costumes were a great contrast to an ugly building. I’m up on the sixth floor of the TD Garden, behind the TV cameras — that’s where we shoot. I prefer to be up above, you can see most of the ice; you get a better a chance to cover what’s happening. Bruins center David Krejci and Columbus’s Ian Cole were battling for the puck, and one must have hit the other and dislodged the net, and [they] were on top of the Columbus goalie. It doesn’t happen every day that the net gets dislodged. This is the peak frame. It’s a clean background, with no distracting ads — it makes it pop. It was a primary victory at the electrical workers’ union hall, but it may as well have been the victory altogether. 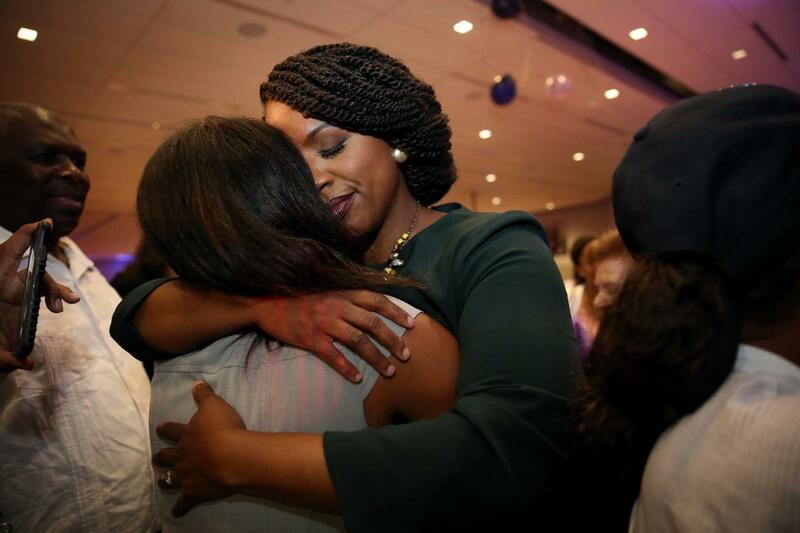 By winning, Ayanna Pressley was on track to become the first woman of color to represent Massachusetts in the US House of Representatives. I don’t think anyone thought she was a sure thing. It happened so quickly. Returns were coming in, and the next thing you know, 10-term incumbent Michael Capuano was giving his concession speech and the room exploded. There were cheers and tears — it was emotional across the board. Afterward, she was greeting people, and it was this nice, quiet moment of proud relief. This is Riley, a 12-week-old Weimaraner. 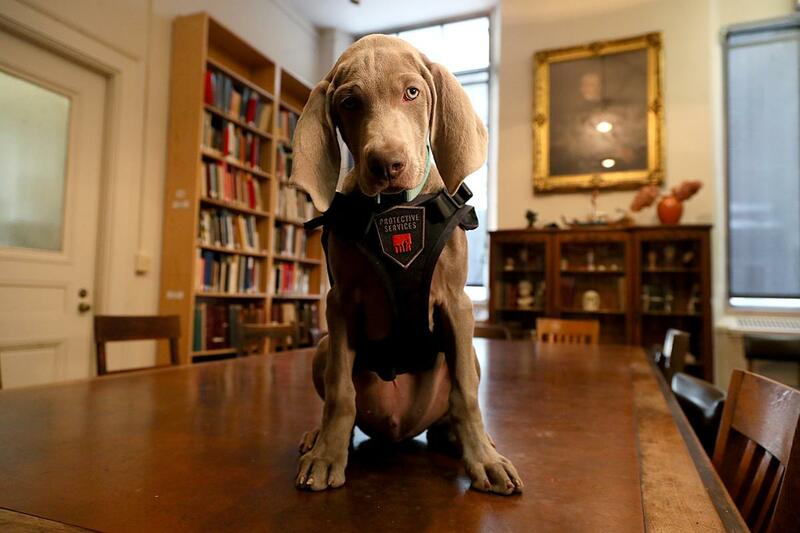 The Museum of Fine Arts needed a protective service dog to sniff out mold and pests and stuff that could harm their fragile artwork. This was a very important assignment, obviously a Page One exclusive. I thought, “This is a slam-dunk.” All I had to do was wait for Riley to be adorable. It’s true — animals and children are the hardest to shoot. You have to be more patient than they are. I had to wait until Riley got bored. After about 20 minutes, Riley complied and gave me the perfect expression. This was a rain event, a Friday nor’easter. 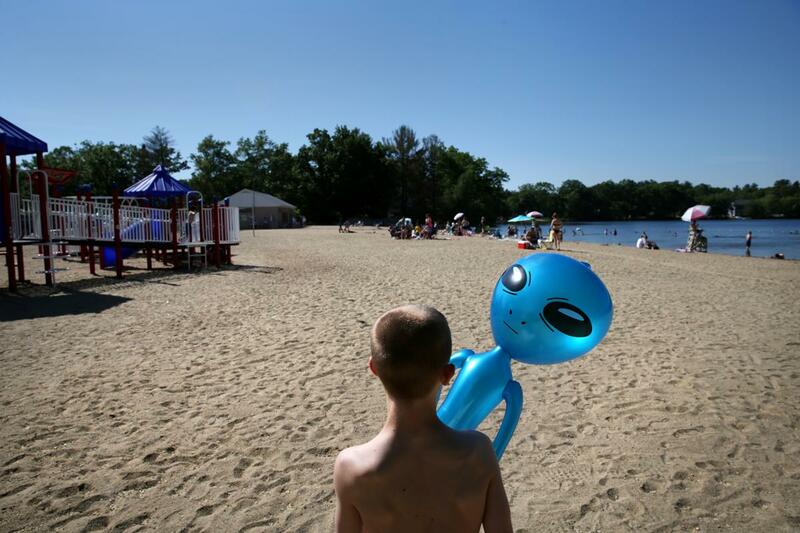 It was astronomically the highest tide in years; they were expecting a 3-foot surge. The night before, I got an e-mail from my photo editor saying you should invest in a pair of fisherman’s waders. It saved me that day. I was so soaked, water was dripping off me. There was major flooding in Houghs Neck, the water was 4 to 5 feet deep, cars were underwater. On Post Island Road, people were trapped in their houses. 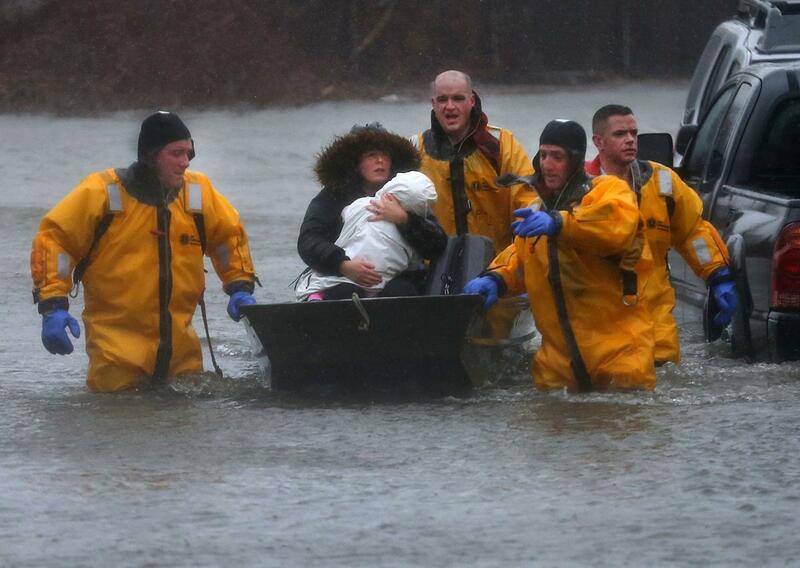 In this particular rescue, the fire department got the woman holding her baby. It was pretty dramatic. It was a high school football playoff game, so if you lose, that’s the end of your season. 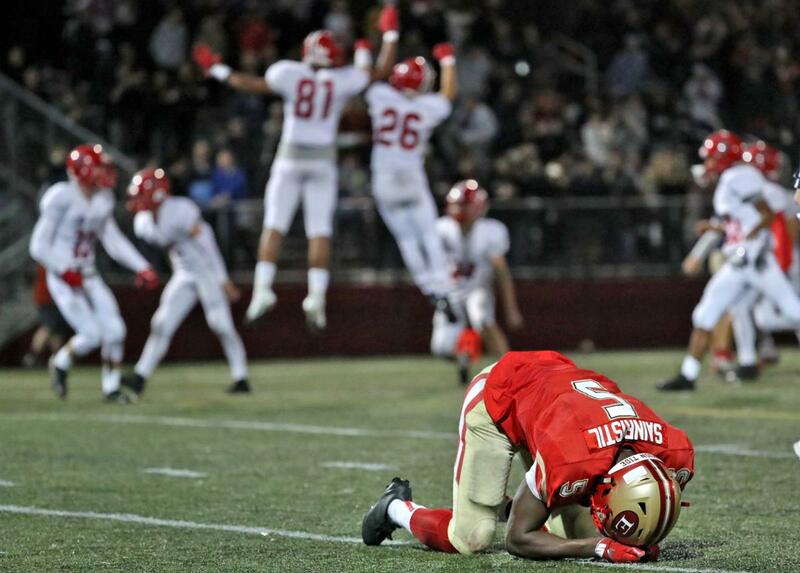 Going in, Everett was undefeated. They’ve been a football dynasty — they’re the Patriots of high school football. You don’t expect them to lose. And they lost. I was shocked myself. You’re hoping you get a picture that shows the dejection. I happened to be in the right spot, in the deep corner of the end zone, about 20 yards away, using a long telephoto lens. The background layered perfectly with the Central Catholic players celebrating their victory with a chest bump. A man had been attacked by a shark the day before off the beach in Truro. We chartered a single-engine airplane. 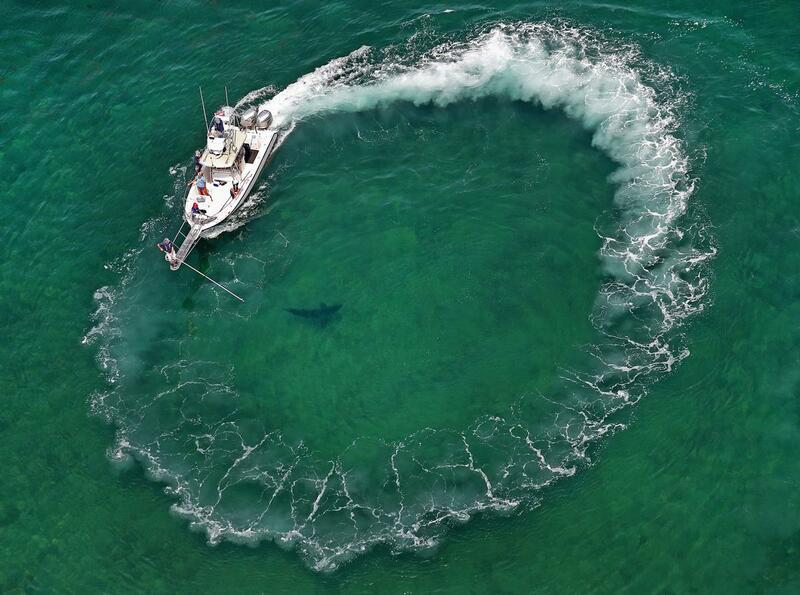 As we took off, [a boat with researchers] was right there, using a GoPro and filming the sharks. They do circles to make a wake. It also makes the shark disoriented. We were 150 feet above the water. I saw around 12 great whites in an hour. You can see how big they are. They were very close, like a short swim [offshore]. If you were on a surfboard, you’d be right by the shark. she’s been living in the US legally for 19 years, has a 4-year-old daughter who’s an American citizen, a job, an apartment, and just an entire life here. The Trump administration decided to revoke that, impacting at least 250,000 people. 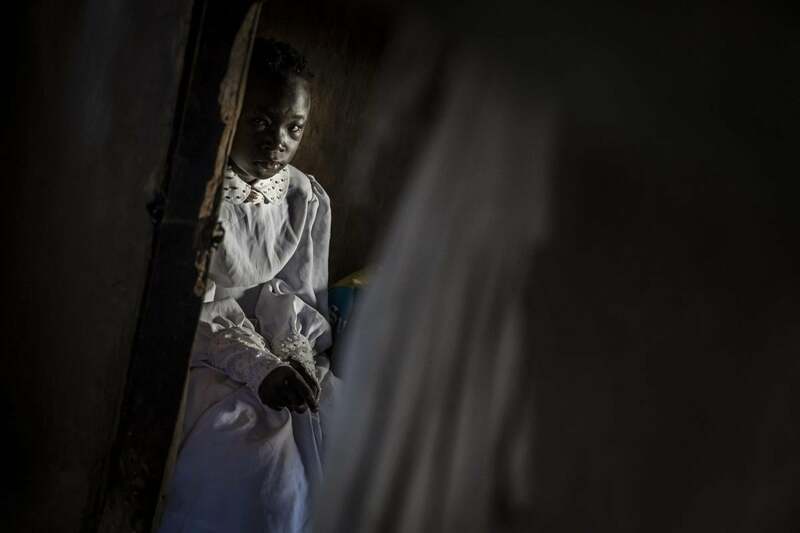 Patricia was given 18 months to dismantle her life and figure out what to do next. One thing I’m always trying to show, even in sad stories, is moments of joy. 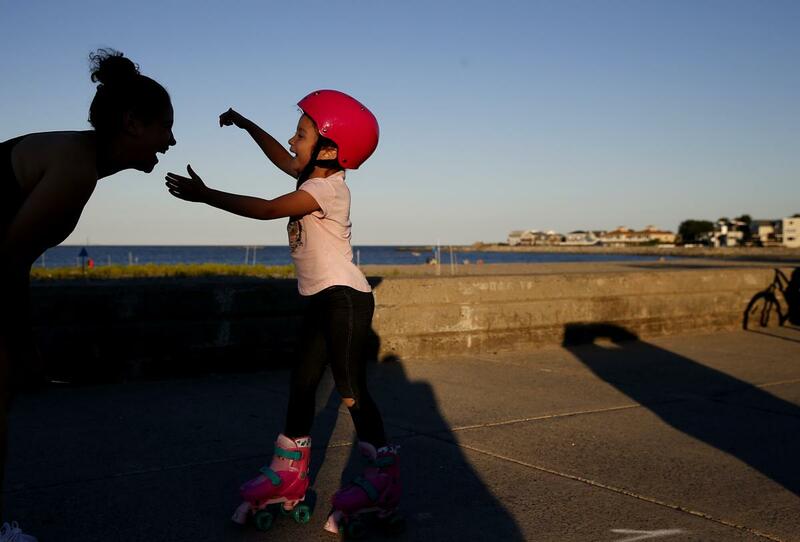 Being able to teach your daughter to rollerblade on Revere Beach is something we take for granted. This was a portrait of Laurence Lesser, the New England Conservatory’s president emeritus, to celebrate his turning 80. 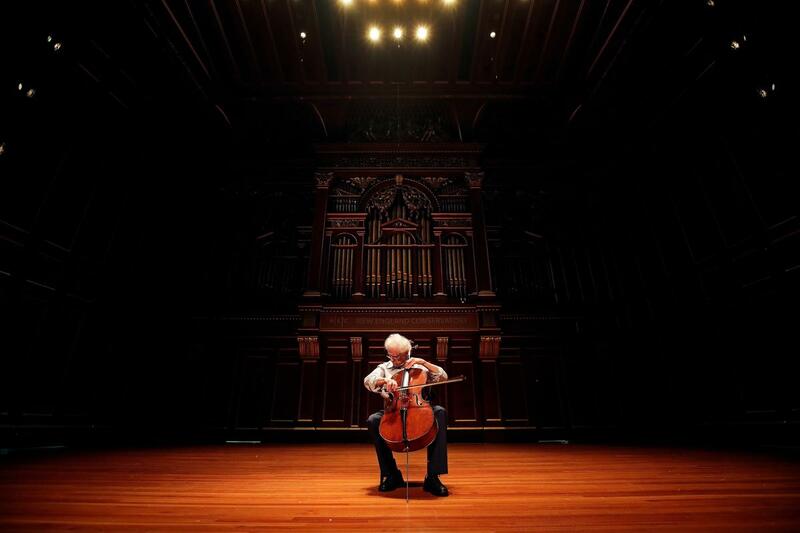 Most of the photos were tight, of his face, hands, interplay with his cello. Lastly, I wanted to get wider shots in Jordan Hall, this gorgeous concert venue. This was shot with just stage lighting and this pipe organ, like you’d see in church, behind him. I had him play the entire time; his eyes closed and head down lends something to the photo. It was quite a treat to be serenaded with this beautiful cello music, my own private concert. It was the second game of the World Series. I was in the Jim Beam dugout seats, a different angle than my usual position. I got Andrew Benintendi in focus, tracking the ball. That was actually the first frame. If I had gotten there a split second later, I wouldn’t have had him. Had it been 2/1,000ths of a second earlier, the ball may have been in front of the white letters, and you wouldn’t see it. The wall behind shows the standings. That’s what makes the picture — the 108 wins. 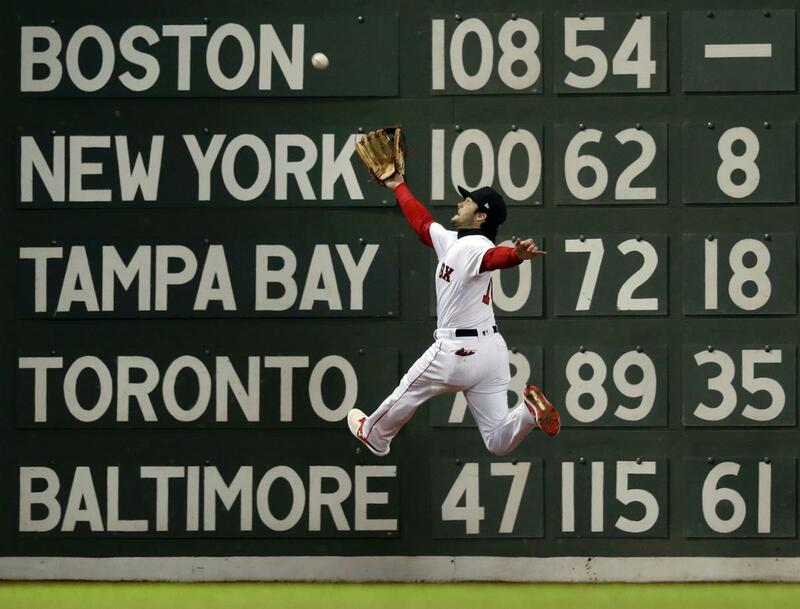 The Red Sox had a historically good season; Baltimore, historically bad. I was walking around Ward’s Pond with my boy. 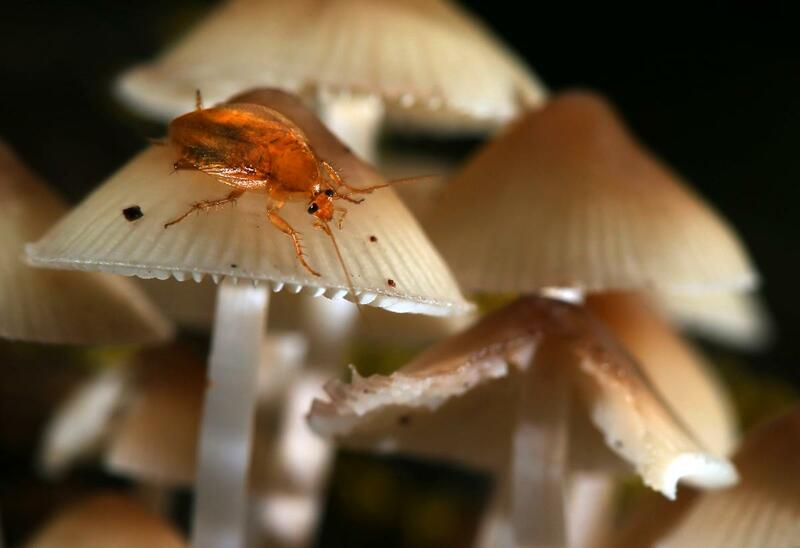 We started noticing an incredible amount and variety of mushrooms, way more than ever. It turned out I was right — because it’s been so wet, mushrooms have proliferated. The next day, I went back armed with lighting equipment and a big plastic sheet so I could lie down in the muck to shoot. I noticed this bug crawling. He wasn’t skittish — I could put my lens really close and it didn’t bother him. Finally he stopped, and it was like he was posing. I don’t know why he was so calm. I had gone to cover the explosions. It was chaotic. Everyone was trying to get out; we’re the type that goes toward the fire. You just need to tell this story. The next morning, we spent a day trying to talk to people. 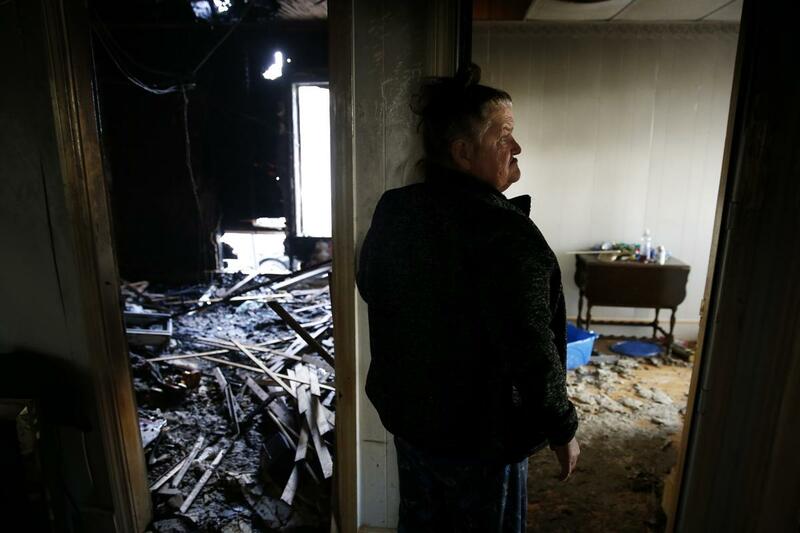 Brenda happened to be sitting outside her home with her neighbor. They were like, “Do you want to see inside?” And they showed us. It smelled of smoke, still soggy and dripping. She stopped and leaned against the wall at what was the bedroom . . . and it was just gone. That one image gave a sense of what these explosions have wrought on this community. This was Boston College’s commencement at Alumni Stadium. Usually, if I can get up above something, I go up above. 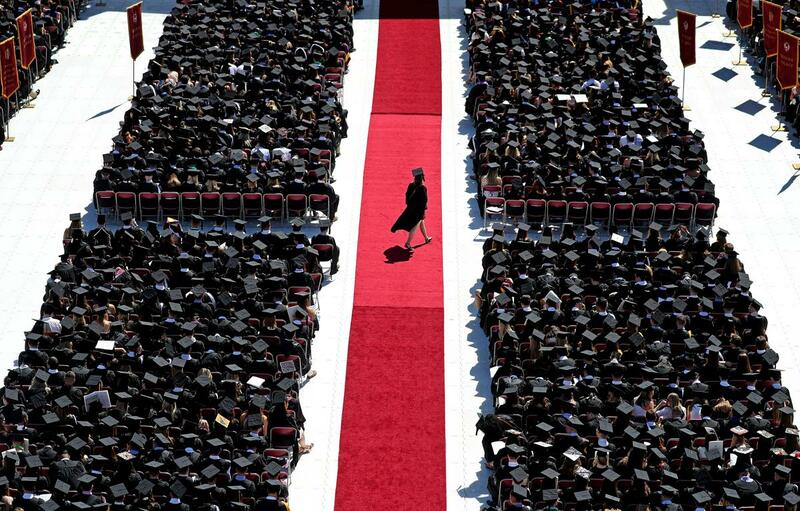 The commencement was underway. People go out to get water, go to the bathroom; I see this young woman walking the red carpet. She had a good flow, going across. I always give myself a little theme when I’m taking a picture. Every photographer sees something different. What catches me here is “the red carpet treatment is laid out to you graduates.” That was my theme. 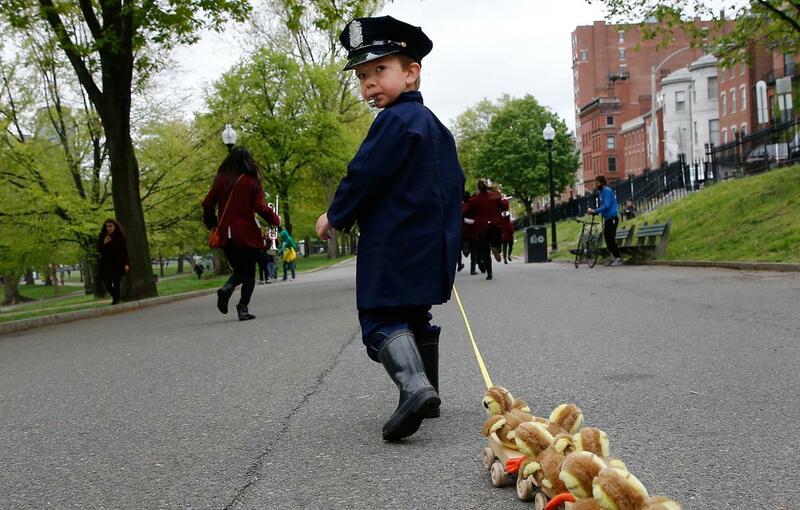 “four’easter”was supposed to be a big storm; it hadn’t lived up to the hype. I parked my car and decided to walk up Charles Street. 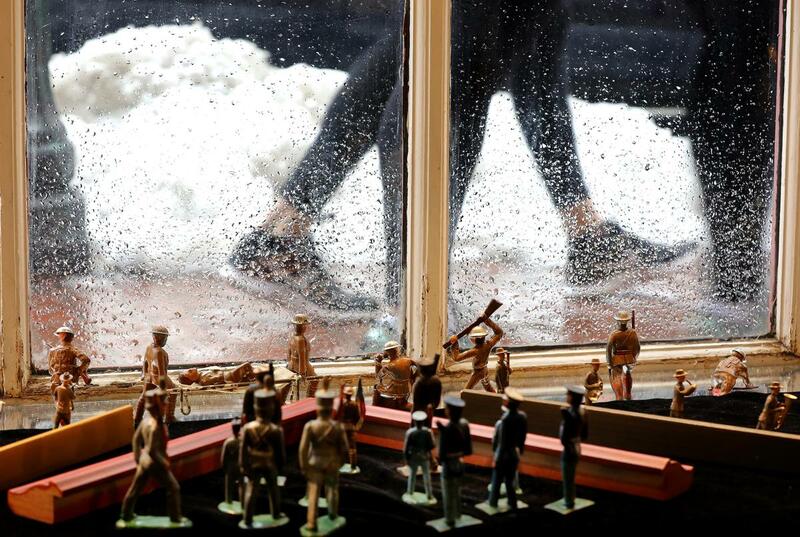 I noticed this window low to the sidewalk and saw these figures, toy soldiers, positioned in different tableaus. I thought, “That’s interesting.” It was a framing shop. I talked to the owner, David Poutré. He said he just found them in a box in his basement; they used to belong to his father-in-law, and he wanted to share them. 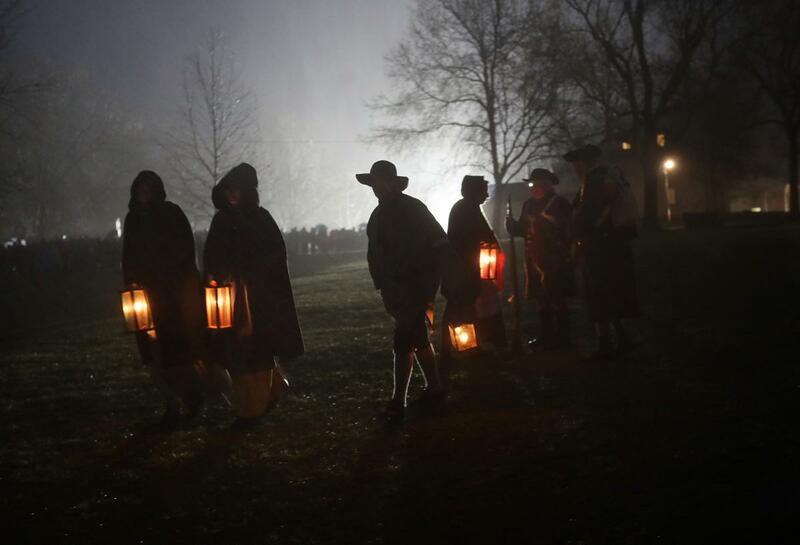 Because I live in Lexington, I cover the reenactment of the Battle of Lexington every year. I try to get there by 4:30 in the morning; the actual battle starts at 6 a.m. The light changes from darkness to total brightness within 15 minutes. The nice thing about the event is they try to make the day feel like it was. You get what it was like to live in the village at that time. This one works — the mood, the morning dew in the air, the lanterns. It has a look that it could have been a very long time ago. I went to northwestern Kenya for a story on Southern New Hampshire University’s online degree program for people living as refugees. There are about 186,000 people who live in the refugee camp, most of them displaced by war and famine. A college education would make residents more attractive as asylum seekers. We followed Achayo Loum, who fled the fighting in South Sudan with her daughters, one of only four women in the program. Despite living in a two-room mud hut, the family all dress in their Sunday best to attend church. I thought this little girl in her white dress was beautiful. It was election night at the Hynes Veterans Memorial Convention Center. 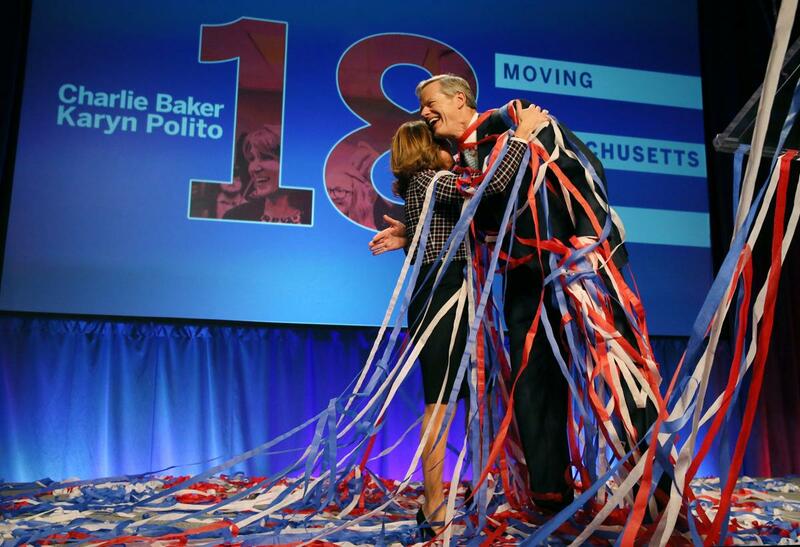 After Governor Charlie Baker and Lieutenant Governor Karyn Polito gave their victory speeches, they stepped away from the podium, and boom, there were streamers and confetti everywhere. Nobody gave us a heads-up this was going to happen — there were no balloons hanging from the ceiling, waiting to drop. They seemed as surprised as I was. It left the governor looking like he was wearing this red, white, and blue toga. It seemed like a true moment of joy. 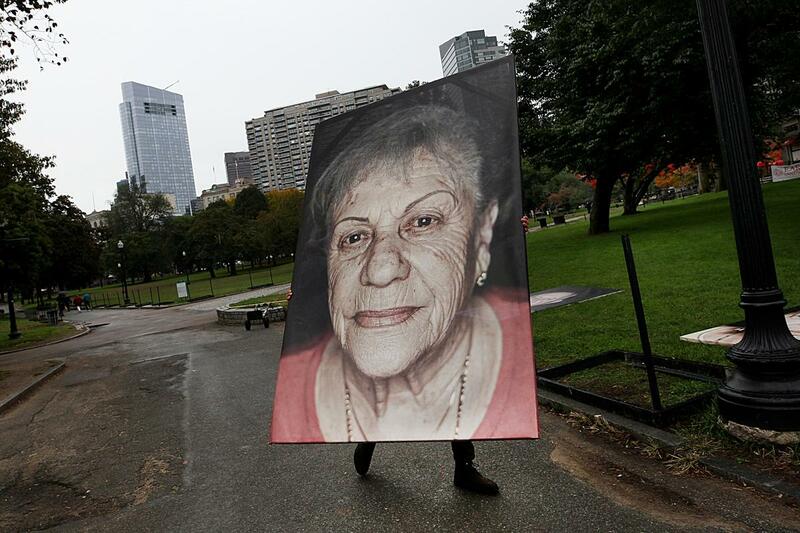 This was an exhibit called “Lest We Forget” by European artist Luigi Toscano, who’d taken photos of Holocaust survivors around the world; he was installing these giant photographs on Boston Common. This picture needed three key elements: the giant moving photograph of a survivor; an identifier, in this case a piece of the Boston skyline; and scale, the feet of the installer underneath so you could see how large it was. Almost every single person that passed me asked, “What is this? What’s going on?” It was cool to watch people’s reactions. Once they understood, they were moved and reflective. We had followed this group of students from Tufts dental school to the Jamaican countryside. 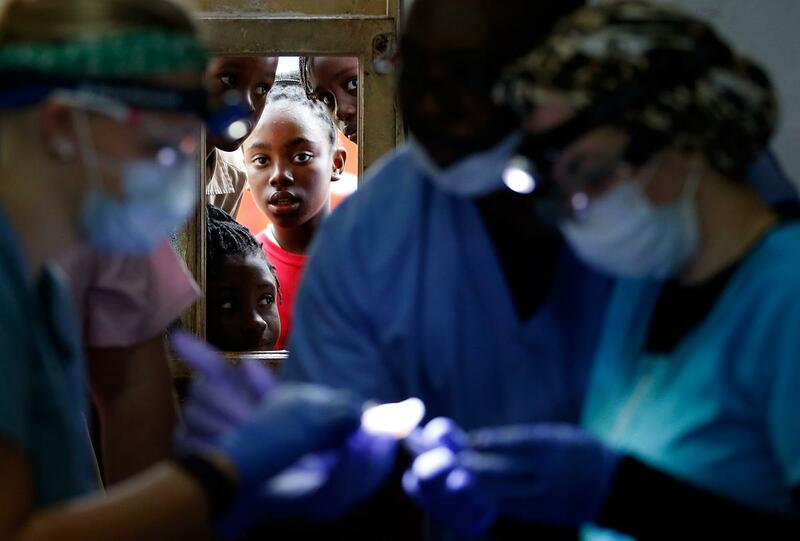 They were setting up makeshift triage dental clinics in elementary school classrooms. They didn’t have power tools, no suction, only topical Novocain. It was very rudimentary. The patients were numbed, but it was still rough. It was a lot of extractions. It was amazing to see the amount of need. There was this little window, and people were peering in. This felt like an important part of the whole story, that people were willing to line up and wait for hours to get their teeth cleaned. This picture tells a bad weather story in a different way. 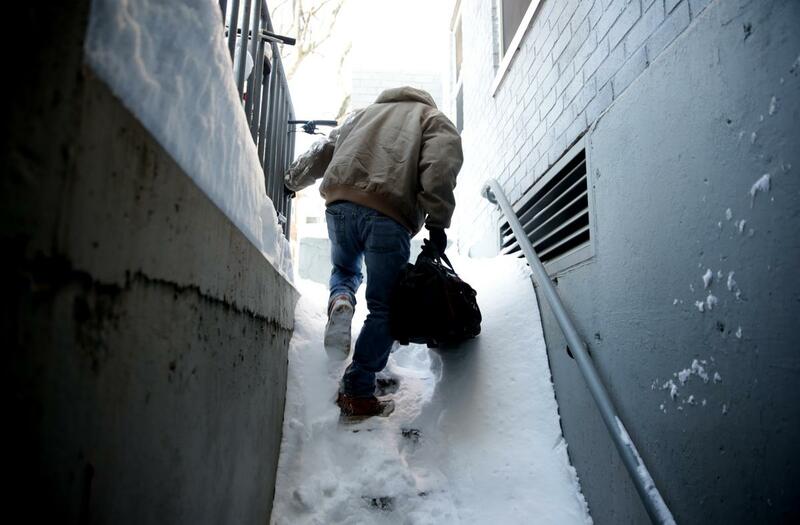 I caught up to this plumber and we walked through 2 feet of snow to get into this apartment complex that didn’t have heat. A maintenance man brought us into the bowels of this building. Going down the steps was difficult; I had to hold on myself. He was leaving to go get a part. I said, “I’ll hang back.” I had in my mind, that could make a nice picture, with the shaft of light coming down. He came back, got the heat on. Anyone who gets your electricity back in a storm, they’re a hero. 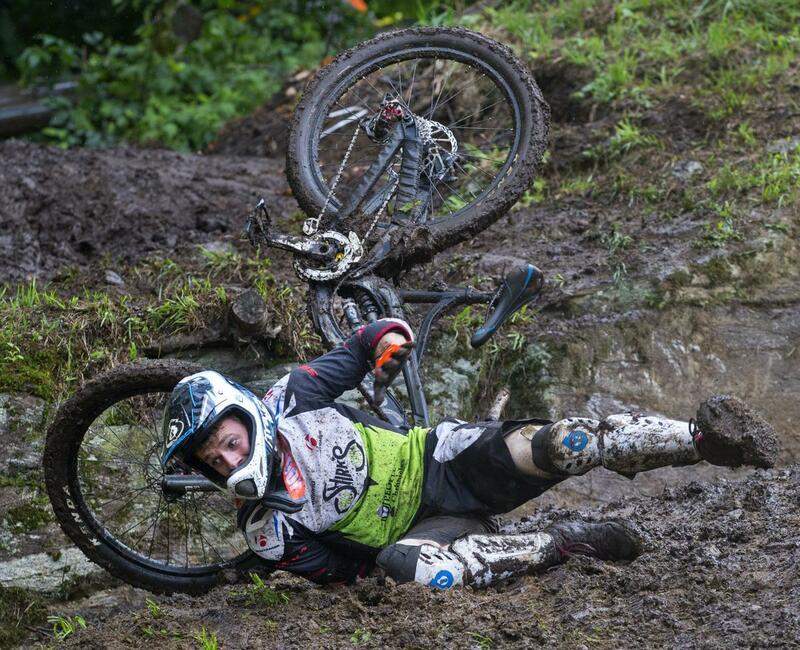 This was at the US Open of Mountain Biking. Those people are out of their minds. It was nasty and rainy; these were the happiest people on earth. You stand at the top of the mountain and look down, it’s a 90-degree drop straight down, off-trail, muddy, and rocky — no soft, fluffy snow to land on. It’s an adrenaline rush. I don’t know anyone who made it through the weekend without falling, even the stars. I had to dodge a few; I’m not big on getting impaled on bicycle spokes. Everyone I saw got right back up —an amazing testament to their fortitude. Dr. Fred Ernesti is 88 years old and an endocrinologist at Beth Israel Deaconess Hospital-Milton. He’s been there 30 years, a doctor over 60 years. If you could pick and choose doctors, this is the guy that you want. One of his longtime patients came for her physical, and we were privy to being in the exam room. She’s been his patient for 40 years. There’s a special bond there that you could see. 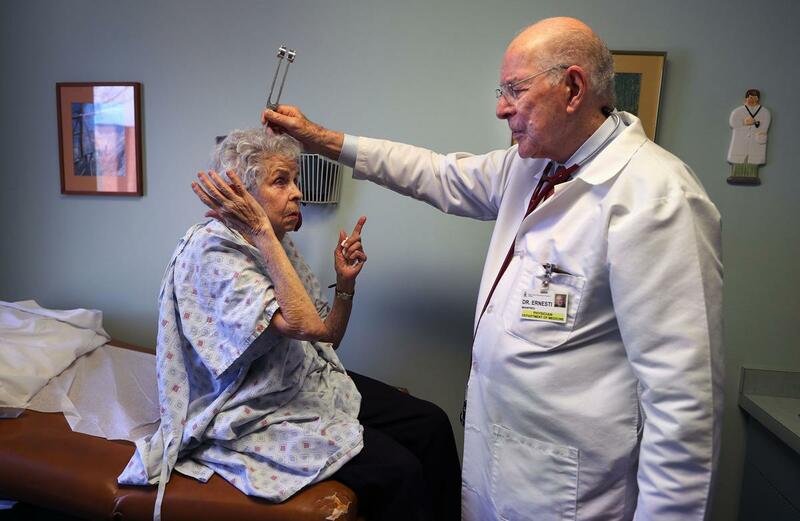 In an age of advanced medical equipment, he uses a tuning fork to check her hearing. He came out of the pages of Life magazine, the old country doctor, a rare breed.